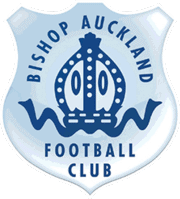 A bumper crowd of 750 saw Bishop win the first Auckland derby of the season 4-3 in a thrilling encounter which had everything, goals, penalties, bookings and sending offs. Bishop manager made five changes to the team that lost to Markse on Saturday new signing Peter Jeffries returned between the posts for the Blues with Hoganson, Hall, Francis and Moffat all returning to the Bishop side which had a more experienced look about it. West Auckland started the better of the two teams and in the first 10 minutes they had settled in to their game attacking with a quick tempo. Jeffries pulled off numerous great saves to keep the scoreline 0-0 in the early exchanges. As Bishop felt their way in to the game they began to create chances and on 21 minutes Johnson was floored in the box by a West defender preventing a clear goal scoring opportunity, a penalty awarded to Bishop with the West defender receiving a Yellow card instead of a Red under the new double jeporady rule. Johnson stepped up to take the spot kick himself but Norton in the West goal guessed correctly and saved his effort however Francis was the first to reacted to score from the rebound 1-0 to Bishop. On 25 minutes Alex Francis picked up a booking and whilst he was picking up his Yellow, Andrew Johnson received treatment to the injury picked up to the penalty foul, he appeared to be struggling with a injury to his side. In the 29th minute Francis took a ball down perfect on his chest and played in Johnson who cooled despatched his shot in to the bottom corner of the net to put Bishop 2-0 to the good. Four minutes later Johnson night was over as he was forced off with the injury picked up earlier, he was replaced by Griffiths from the Bishop bench. On 40 minutes West pulled a goal back to reduce the lead and make the scoreline 2-1 in Bishops favour, West had a free kick which shaved the Bishop post just before the half time whistle. West came out with an increased tempo similar to the start of the game and forced Jeffries in to a couple of good saves, this game was far from over. In the 62nd minutes Danny Parker handled a Moffat shot which was goal bound on the line which resulted in another penalty for Bishop and it also earned himself a dismissal. Griffiths stepped up to fire the spot kick home to restore the two goal lead for Bishop. In the 82nd minute West broke with a counter attack and Fisher slide the ball home with a deflected shot to reduce Bishops lead back down to the 1 goal, 3-2 Bishop. Minutes later Moffat teed up McAloon perfectly which should have resulted in the Bishop man scoring the goal that would have settled the game however he couldn’t get his shot on target. Moffat sprinted past the West defence and rounded the keeper to slot the ball home only for the goal to be ruled out for offside. A blow was then dealt when West equalised with only 3 minutes remaining, 3-3 with a feeling that they was another goal in this game. That goal came and it was in Bishops favour, a ball in to the box was headed goal wards by Hall and Francis forced it home to put Bishop back in the lead 4-3. A tense few minutes to the game with West searching in vain for another equaliser however the Blues stood firm and held on for their second win of the season. This was easily the best display of the season, a great team effort with everyone playing well it was hard to single out any one players performance. Is this the result which will kick start Bishops season.